If you have been following me/my snaps, you would have known that I just returned from Bangkok about a week ago! swallow this down for the time being. 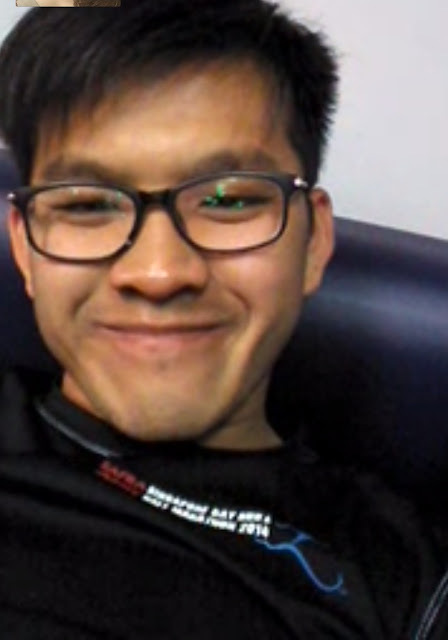 Hopefully when he's back we shall have a good talk about what he is going to do in future..
Also met up with this happy pill countless of times but we always miss a wefie together. Recently I did a music exam (for upgrading purposes) and I was so hoping I could pass with flying colours. Have so many upcoming plans/projects but yet to start as I am doing some planning. And and and... I'm dyeing my hair colour again this coming wednesday! Anyway can anyone enlighten me about buying likes on instagram? To show people that many people DON'T SINCERELY like your photos? In fact I follow a few people who buy likes for their photos (paiseh to unfollow if not I really would zzz). I mean, do you feel happy seeing fake people like your photos instead of real ones? Doesn't it make you feel so so much better if you see people liking your photos because THEY REALLY DO LIKE IT? Instagram should totally ban these likes-buying programs. Oh and please have another instagram clean-up soon to help me rid of the spam followers that are following me! I block about 50-100 spam followers a day (I access their profiles personally to see if they are legit accounts) and it is tiring me out. TACT is launching our new collection next week.. so keep your eyes peeled okay! Okay it's 2.33am now, need my sleep. I see one of my acquaintance who just started out and she bought likes too... Like from 20 on average to 300 on average now. So obvious!! I mean if you wanna buy don't make it so obvious lah, like maybe 100 or something? But 20 to 300 in a few days is too obvious. I don't understand why they would wanna buy likes as well.